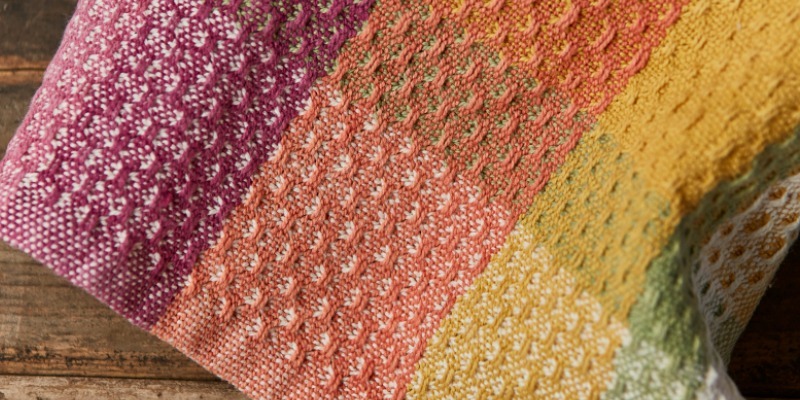 Nancy Smothergill’s inspired Tintes Naturales Huck Towels. 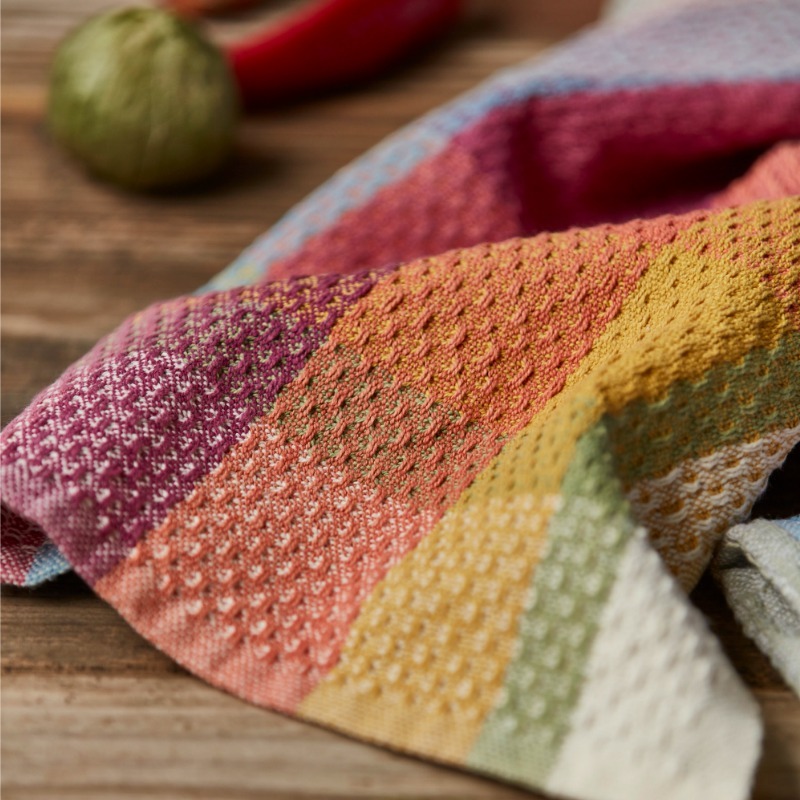 Dish towels are one of my favorite weaving projects because they give me a chance to try different structures and colorplay. I purchased the full Tintes Naturales kit, and my biggest challenge was creating a design using both orange and purple in the same warp. I finally decided to put those colors next to each other and developed something similar to a color gamp towel. 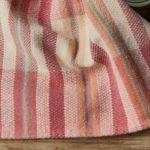 I chose a five-thread huck-lace pattern that has a variety of tie-up and treadling possibilities, but can also produce a pattern of allover warp spots, which I love in these towels. EQUIPMENT: 4-shaft loom, 19″ weaving width; 10-dent heddle; 2 shuttles; 9 bobbins. YARNS: 8/2 unmercerized cotton (3,360 yd/lb; Mayan Hands Dye Project; Cotton Clouds). OTHER SUPPLIES: Fusible thread; matching sewing thread. Featured Image: Nancy Smothergill used her guild’s Tintes Naturales challenge to try new color combinations in her weaving.